Another early riser is Elaine Rannie, who was on board her 18-year-old mare at 6am one misty morning. Miki Waddington’s plans for a pub ride were nearly thwarted when her #hack1000miles group inadvertently rode into a noisy public event (think live band, drums and lots of people in high spirits) celebrating the 100-year anniversary of women getting the right to vote. They still managed 3.4 miles, with a cheeky cider thrown in! Linda Jordan doesn’t own a horse, but she’s fully committed to hacking 1000 miles. Here (right) she introduces her #hack1000miles badge to one of the horses she rides. Haven’t got your badge yet? Buy one here for just £2. Sophie Joy had to take evasive action when she came across a hissing adder out hacking. “I never thought I’d be on poisonous snake watch in the UK,” she says. Georgie Rhodes pulled off a 40km (24 miles) hack in one day on Billy. Jackie Williams managed to get 21-year-old Miss Ellie into a stream for the first time. Apparently the mare is so besotted with hacking buddy Orlo that she followed him into the wet stuff. Lisa Lidehall and Snurre bravely hacked through a tunnel under a motorway, twice, en route to adding 5.5 miles to their tally. Judy Yates works all night and still squeezes in a quick blast around the fields with her horse. Every mile counts towards the big 1,000! 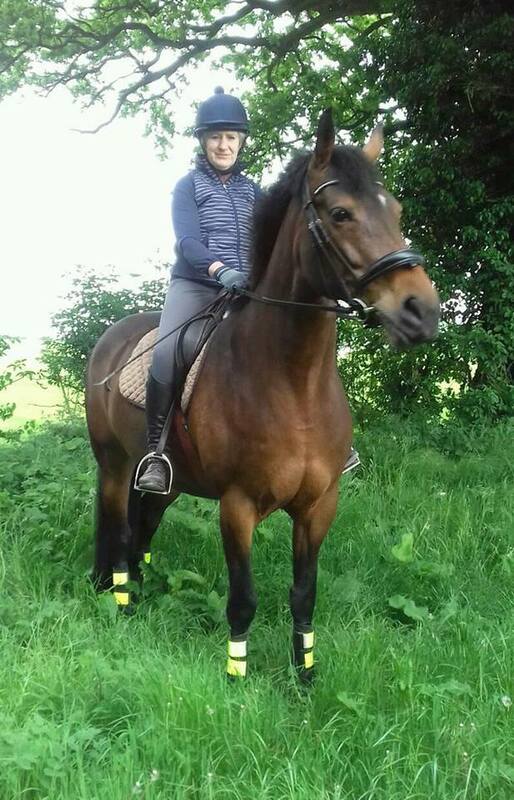 Kirsty Boam bought her Connemara, Paddy, as a confidence giver, but he struggled to settle and napped to the extent that Kirsty couldn’t get him out of the yard alone. Roll on nine months and Paddy left their yard solo, enjoying a really fun ride. Danielle Rowles also ventured out alone with her mare, Lady. She’s built up to this by leaving the yard alone to meet a friend for a hack, and then riding back to the yard alone. Danielle has set the goal of riding the High Peak Trail — 15 miles — in June and their recent solo 4.7-mile hack is a great start. A hack in the sea? Bev Hopkinson says that if she hadn’t pledged to #hack1000miles this year, she’d probably make an excuse not to ride when it’s raining. This challenge is motivation to push yourself further and, she says, there’s nothing better than the sound of hooves in puddles. Sarah Venning lost confidence in an arena due to a nasty fall. Nearly one year on, she was back in the school having overcome her nerves out hacking. She says it’s down to the relationship she’s built with her horse out hacking. It’s sunny — so why not? Linda Anderson and her friend Rachel Fraser break up their 8.1-mile hack with a drink en route. Katherine Ward added 10 miles to her tally in Windsor Great Park, just days after the Royal Wedding. Her group even got to hack along Long Walk. Eleanor Laws’ trip to the beach adds a huge 14 miles to her hack tally in one go. When there’s sun, sea and sand involved — that’s 14 miles of pure fun!